Yet another challenge for the average man is trying to incorporate wilder patterns into his wardrobe. 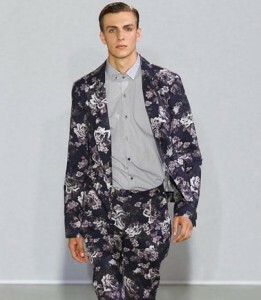 One of the biggest difficulties is pulling off floral prints; how do you dress with this increasingly popular print without losing your masculinity? Today on ‘Guy Style Guide’ we start you on the route to a fanciful-bouquet filled closet without the difficulties florals traditionally bring. The key element to remember is that a little goes a very, very long way; even small-scale items will look all the bolder for their flower-patterned design. 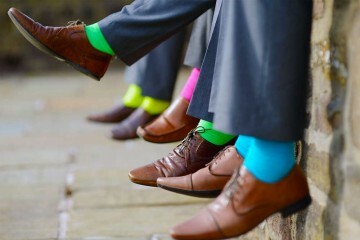 Start with a simple flourishes like pocket squares or socks wherever possible. As you start to introduce floral patterns, ensure you pair your garments with neutral tones and large blocks of plain colour – don’t worry about looking dull or lacking excitement, your bouquet of petals will provide more than adequate ornamentation. Just because flowers bloom brightly, doesn’t mean you cannot experiment with dimmer hues; for your next date, why not try a black shirt with cream floral outline. To offset the informality of the overall design, try to smarten up with a crisp blazer or jacket; remember, formal shades will help keep the contrast level high and the overall look suitably reserved. 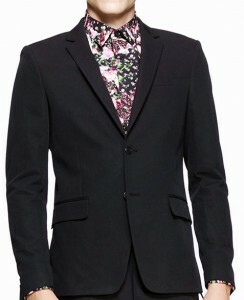 The easiest way to ‘blow the look’ is to go head-to-toe in one large, solid clump of flora and vegetation. While a pair of flowery canvas shoes may seem like a great idea, you’ll always struggle for occasions to wear them – save your cash for something more pragmatic. Don’t forget that your size most definitely matters when it comes to patterns of all types. Fine prints won’t overwhelm your frame and will keep your appearance subtler; skinnier men may want to go for slightly larger patterns, but remember not to go overboard. The true mark of a self-assured man is one who is comfortable in his own skin (and clothes) … if floral clothes are an extension of one’s inner soul, the dude should wear it, in accordance with some of the excellent tips you gave above! Where the hell have you been? 🙂 No posts for 2 months! 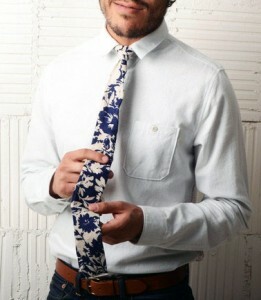 I like floral print on clothes, but I would never wear it myself – I just think it wouldn’t fit me well. As for other men, I think avoiding it for formal occasions might be a good idea.